My birthday is like my New Years. It’s a time for me to reflect on the previous year, the life I’m living, who I am, and where I want to be. It is my time to set some new years resolutions, Ashley style. Last year I started a new job, completed my masters degree, planned my wedding, got married, went on a honeymoon to Europe, and settled into my new role as wife and puppy owner! It was a wild and crazy year, but still full of so many wonderful things. As I shared on Friday, I did a pretty good job tackling my 28 by 28 list but if I’m being honest with y’all (which I always strive to be) I feel like a broken record some times with my weight loss. Considering all of the life changes this past year, I’m thrilled to be ending it at 220 pounds. On the flip side though, I feel stuck some times on this quest to reach my weight loss goals. This past week I had a fantastic opportunity to try out Tidy Mighty’s Daily Overall Health Log and Monthly Exercise & Fitness Calendar. The truth is, I often lose sight of what I’m eating, how much I’m eating, and how my workouts line up with my eating habits. Using Jacque’s fitness and eating journals really put things in perspective for me! 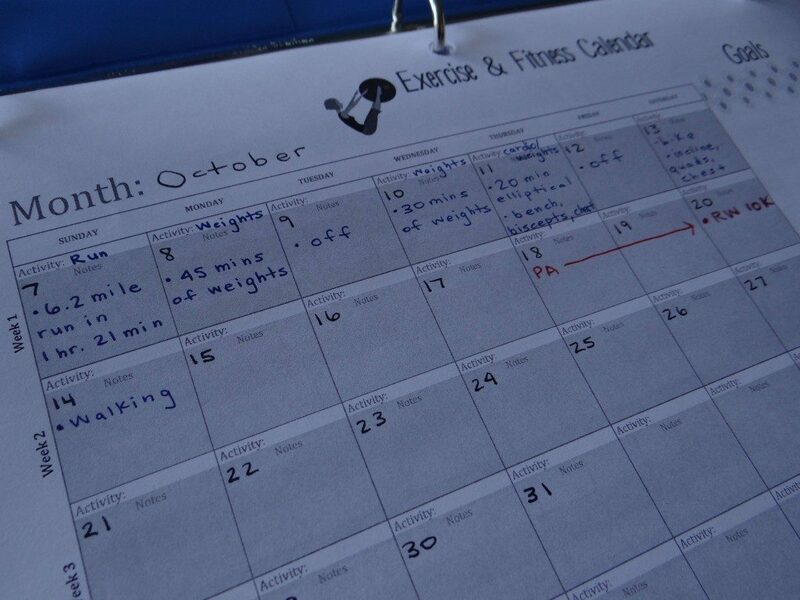 I logged my exercise after I had completed it but this calendar is a great way to plan out your future workouts. Now that I’m back at a gym and I’ll be doing a more structured weight lifting program I will probably use this log to plan ahead. For now though, it’s a great way to track what I’ve done. The Daily Overall Health Log though was a real eye opener for me. I was shocked how few fruits and veggies I was consuming. 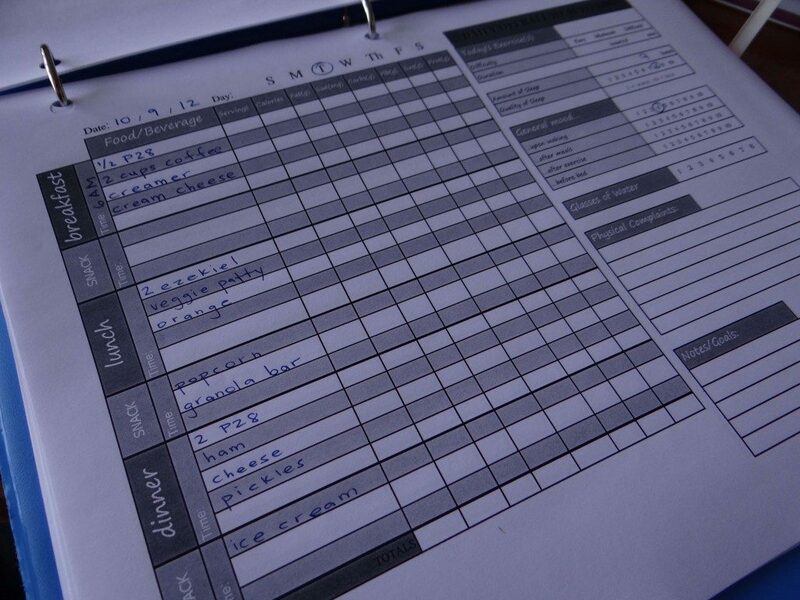 It’s easy for me to think that my meals are balanced but when you write them done and see your log over time, it’s really made clear how you’re eating. What I learned last week was that I need to eat more fruits and veggies and I need to limit my sugar intake… and continue tracking! It’s you’re anything like me, sometimes I just need something I can hold, use bright colors on, and write on. Although I love some of the online logs, I really enjoyed creating a binder and using Jacque’s logs. 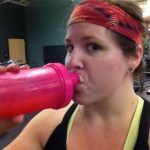 Jacque has a number of great logs, which y’all should check out, but my favorite is her Health and Fitness Organizer Kit. This kit includes 5 of her printables, including the 2 I used last week. 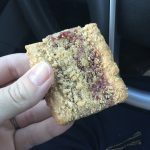 For Coffee Cake and Cardio readers, Tidy Mighty is offering 10% off your purchase of anything in her Etsy store by using code 10off at checkout. One Coffee Cake and Cardio reader also has a chance to win the Daily Overall Health Log and the Monthly Exercise & Fitness Calendar! Leave a comment on this post with which log of Jacque’s you would use and how you would use it in your own life. I’ll randomly pick a winner Wednesday morning (October 17, 2012). This is a short week for me, woo hoo, as I’m heading up to Bethlehem, PA for Runner’s World’s first ever half marathon and festival! I’ll be running the 10K on Saturday, so this week will be about consistancy, fueling my body, and getting in a few short runs. Oh yeah, and enjoying the start of my 29th year of life!